Jürgen Klopp wants Liverpool to capitalise on their return to the top of the Premier League table after Sunday's goalless draw at Manchester United. The Reds were unable to turn their dominance of the ball at Old Trafford into a mark on the scoresheet but nevertheless leapfrogged Manchester City with 11 games still to play this term. 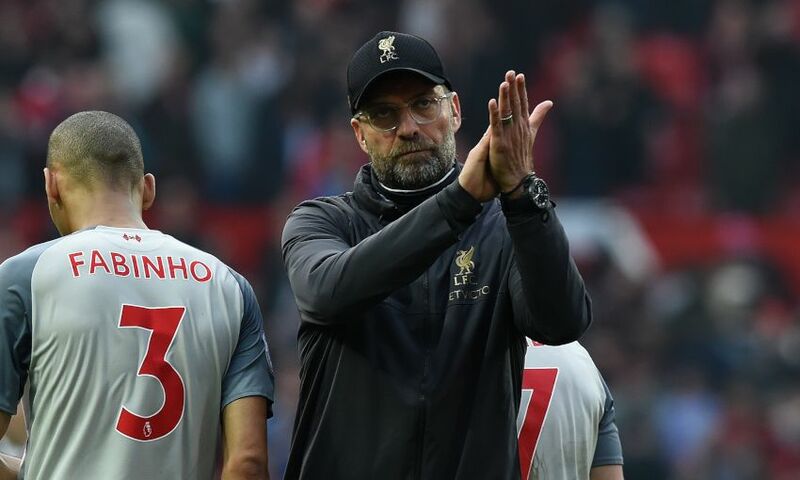 The next challenge awaits on Wednesday night at Anfield, when Watford visit L4 fresh from a 5-1 win at Cardiff City, and Klopp called on his players to use their position as leaders for motivation. Asked if the point gained at Old Trafford could be valuable, the manager told Liverpoolfc.com post-match: “Absolutely. That’s completely OK.
“Just, I don’t want to close my eyes to the situation, because if United are beatable on the day, you have to do it – and we didn’t. So that’s still [in my thoughts] somewhere. “But of course I’m fine with the point. Let’s carry on. There was so much talk about the game again, like Bayern – world-class teams. Now we didn’t score twice against world-class teams, that happened to a lot of other teams as well.